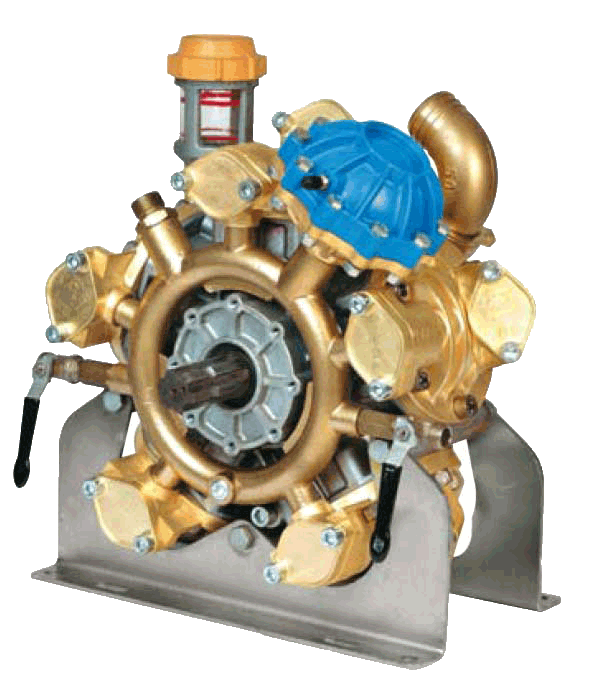 High pressure pumps (40 and 50 bar) suitable for flow rates from 70 up to 150 l/min in light alloy. 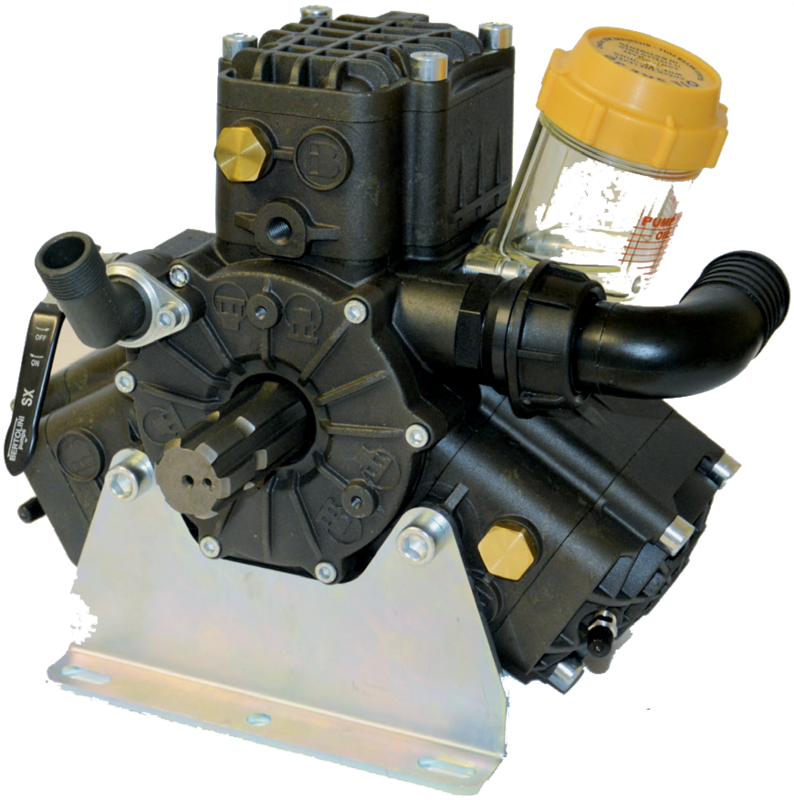 3 or 4 piston semi-hydraulic diaphragm pumps, designed to ensure a perfect mechanical balance, they incorporate an exclusive hydraulic system resulting in amazing reliability and vibration free. Made in diecast alloy, all wetted parts are anodized, the check valves and the diaphragm washers are stainless steel, that means long life operation, high volumetric efficiencies and corrosion proof. At customer’s option they offer up to four different types of diaphragms, solving all the technical questions of the aggressive agricultural chemicals on the market. All moving parts, constructed of precious materials (cast iron piston sleeves, diaphragms washers made up of 316 stainless steel, heavy duty connecting rods or bronze in the PA-B series) provide low maintenance and almost wear-free operation.